25 February / Tartu Culture Bearer 2018 laureates were announced at this evening’s thank you event. The international student festival Gaudeamus 2018, a grand festival that has earned a great deal of positive attention, was awarded the title of Tartu Cultural Event of the Year. Tartu New Theatre was recognised as the Cultural Organisation of the Year for its entrepreneurial, successful and outstandingly creative year. Edward von Lõngus was recognised as the creator of the Work of the Year, for the unique art experiences offered on the streets of Tartu and at Tartu's new art auction, as well as in the capitals of 13 European countries through the project (R)estart Reality. The title of Folk Culture Bearer of the Year was awarded to conductor Riho Leppoja for his heartfelt work, over a long period of time, involving the development of choir music in Tartu and across Estonia, and the directing of the Tartu Youth Choir. Toomas Koitmäe, Director of Development for the Estonian Sports and Olympic Museum, was recognised as the Young Culture Bearer of the Year for his bold ideas and execution of projects that have attracted attention. 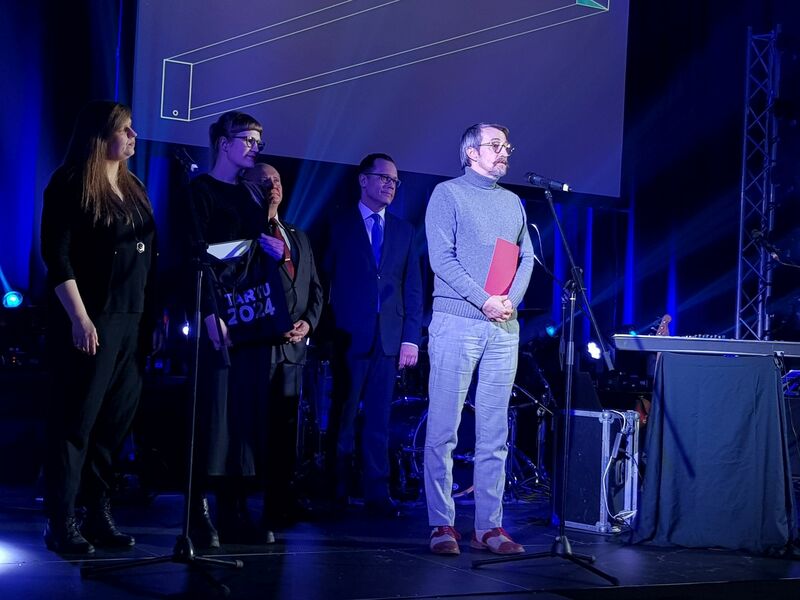 Marika Goldman, former producer at the Vanemuine Theatre, was declared Culture Organiser of the Year for her heartfelt work and outstanding professional activity in promoting Tartu’s cultural life. The Kogo Gallery was named Newcomer of the Year for the opening of a new, modern art exhibiting gallery, and its active work and ambitious exhibition programme. The creators of the Nostalgic Tartu Facebook Community were named Culture Communicators of the Year for their recognition of the culture and history of the City of Tartu. Hotel London was awarded the title of Culture-Friendly Company of the Year for its important and continued support for the self-improvement of dramatic performers from the Vanemuine Theatre. The title of Culture Bearer is an award of praise and recognition, presented by the City of Tartu to individuals and collectives who have distinguished themselves through their activities and promoted Tartu’s cultural life during the previous calendar year. Mayor Urmas Klaas presented a thank you letter and work of art created by Markus Kasemaa to those who earned the title of Culture Bearer. The honorary title is accompanied by a monetary award. The thank you event was written and directed by Kaija M. Kalvet, video by Henry Griin, sound by Martin Rästa. Mick Pedaja’s band performed for the guests. Additional information: Marleen Viidul, Head of the Department of Culture, 736-1351, 527-1723.